Children between the ages 2-3 move continue their High Bank journey in our lovely toddler room. 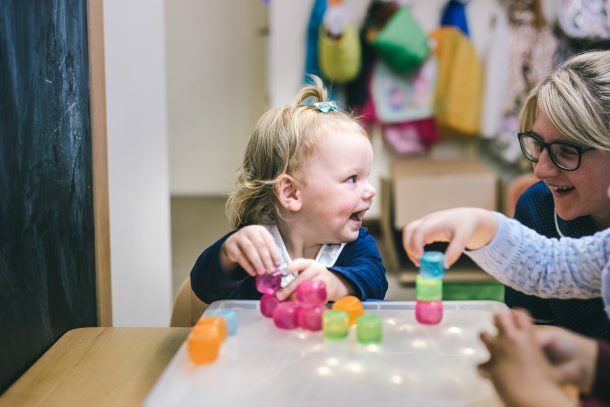 This caters for children who are maturing and at this stage of their nursery life we are able to introduce more educational-based activities, with the emphasis still being very much about having fun. When your child is getting ready to enter our pre-school room they will initially have transition periods, with the support of their key person, to introduce them to the room and the older children, so by the time the day comes for the final move, they are more than ready to take their final steps within the nursery.